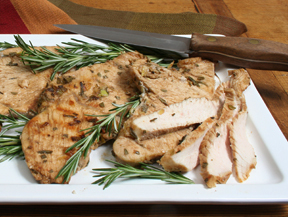 Add a bold flavor to your deep-fried turkey with this easy turkey marinade. 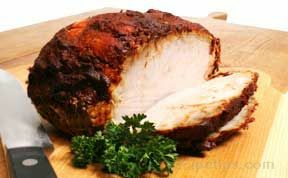 Injecting the turkey with this marinade before deep-frying, produces moist meat with a great garlic flavor and a hint of lemon. 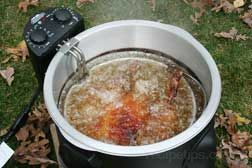 Let us show you How to Deep Fry a Turkey safely. 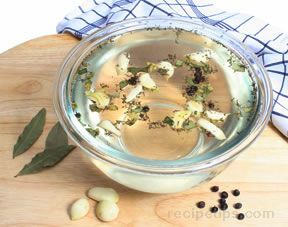 Add all of the marinade ingredients to a small saucepan. 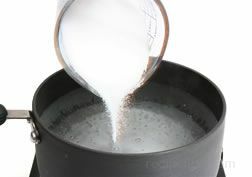 Stir the ingredients over medium heat and cook until all the ingredients have dissolved and are well blended. 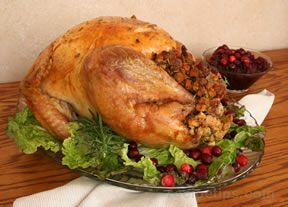 Remove all contents in the cavity of the turkey and remove the leg ties and the pop-up indicator (if one has been inserted in the breast). 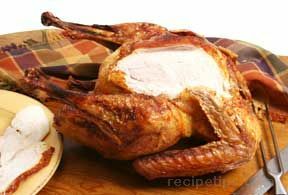 Clean turkey under cold running water. Be sure to clean and rinse the cavity also. Pat the turkey dry with paper towels. Dry the surface and cavity thoroughly. After the marinade has cooled, prepare to inject the turkey. 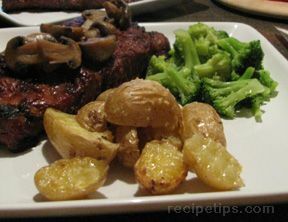 If minced garlic was used instead of garlic powder, strain the marinade to remove any pieces that may not go through the injection needle. 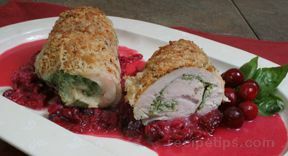 Before injecting in the turkey, whisk the marinade to blend the ingredients together. Fill the injection syringe with marinade. 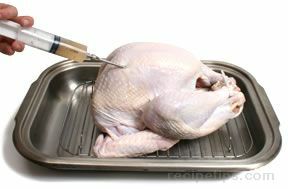 Begin injecting the turkey. When injecting the turkey, make as few punctures as possible. Distribute to different areas in the puncture area by pull the needle just partial out and then inserting at different angles. Inject approximately 2 to 3 ounces into each breast and 1 ounce into each leg and each thigh. Dry the turkey off thoroughly again with paper towels. 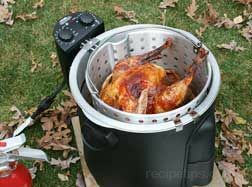 Place the turkey in the frying basket or on the rack, depending on the type of fryer being used. 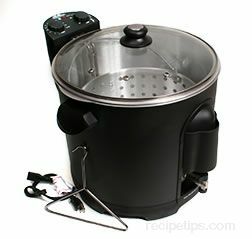 Prepare turkey for deep-frying according to the deep-frying instructions for the type of fryer being used. 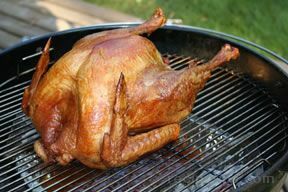 Cook the turkey at 350Â°F for 3 minutes per pound, plus 5 minutes. 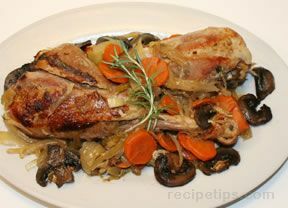 Do not overcook, but the breast should have an internal temperature of at least 170Â°F and the leg/thigh should be 180Â°F. 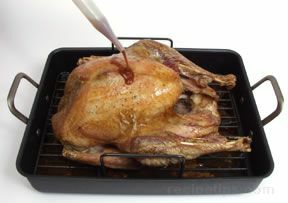 When properly cooked, remove it from the cooker and allow the oil to drain from the turkey. 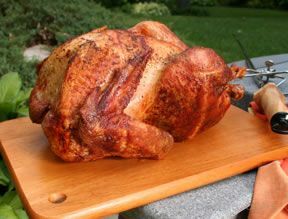 Tent foil over the turkey and allow to rest for at least 15 minutes before carving. 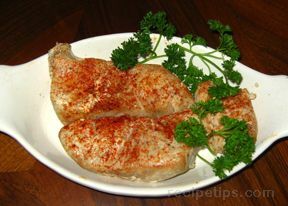 "We have used this marinade and injected it in a turkey but then we just roasted it rather than deep frying it. It turned out great! 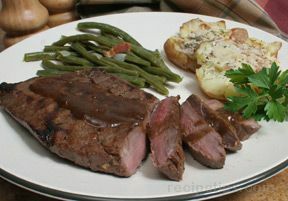 Moist and very flavorful. 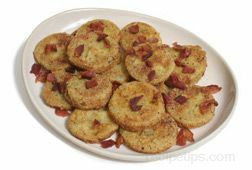 It takes longer to cook but it is a lot less messy also."